Website Design Burgess VA | Tiffany Yachts features rich colors and textures to reflect the rich wood grains and other materials used in the production of their boats. The Word Press website also features an online boat brokerage gallery with interactive inquiry forms, galleries and detail sheets. 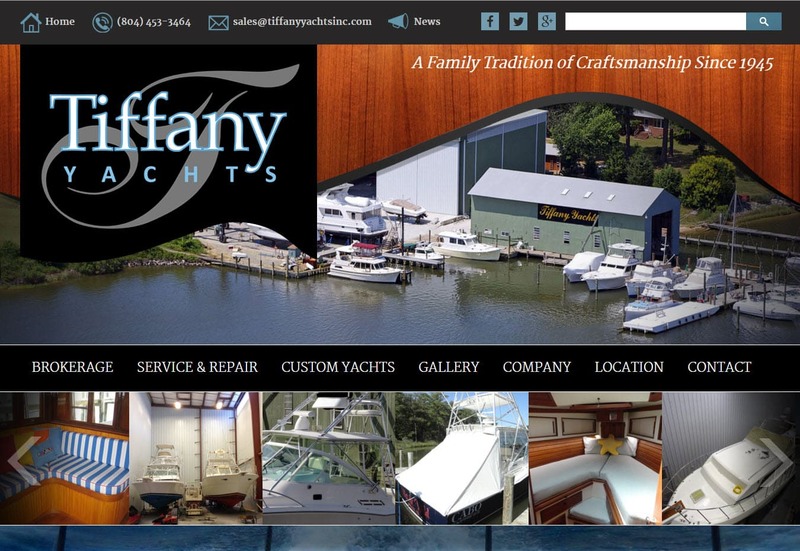 This is the 2nd website redesign for Tiffany Yacths since becoming a VISIONEFX client many years ago. When searching Website Design Burgess VA look no further than VISIONEFX for all of your website needs.